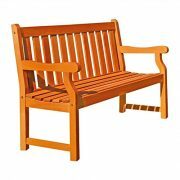 Set includes: One bench. Color: Natural wood. Materials: Solid Eucalyptus wood. Finish: Eucalyptus. Cushions included: No. Weather resistant: Yes. UV protection: Yes. Assembly required. 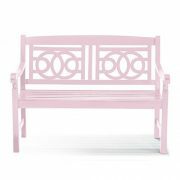 Dimensions: Bench: 17 inches high x 52 inches wide x 16 inches deep. 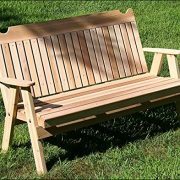 Bench seat dimensions: 16 inches deep x 52 inches wide x 17 inches high. Weight: 25 pounds. Copper finish. 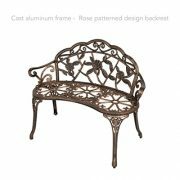 Cast aluminum construction. Rust-proof. Tools included. Assembly required. Measures 32.68 inches high x 40.16 inches wide x 22.83 inches deep. Strong and durable. Weather resistant. Insect- and decay-resistant. Cushions not included. Finish: Natural wood. Materials: Eucalyptus hardwood. Weight: 35 lbs. Assembly Required. Dimensions: 35 inches high x 22 inches wide x 48 inches long. 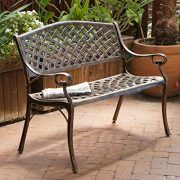 This 2-Seat Outdoor Bench is an elegant addition to your outdoor living space. 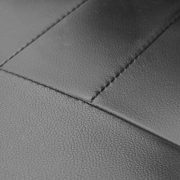 The back and seat is covered with breathable, waterproof, weather- and fade-resistant fabric. 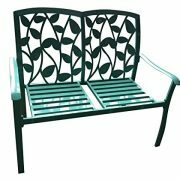 The steel frame is powder-coated to resist rust and cracks. 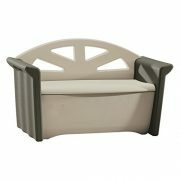 This tan glider can complement many exterior decor styles and colors. 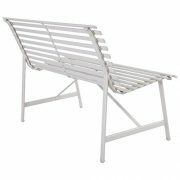 Powder-coated steel frame.Waterproof, breathable all-weather sling fabricFade resistantUV treated. Extremely smooth glide motion. 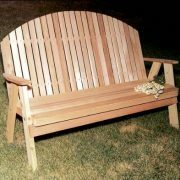 Spruce up your outdoor furniture with the practical and functional Bench. 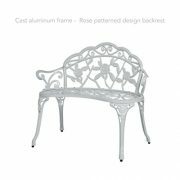 This piece of plastic furniture is a two-in-one solution that not only enhances how your patio or garden looks but also meets your need for extra storage. 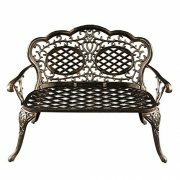 The stylish bench is easy to assemble and it will look even better when you place a cushion or two on top so it resembles a traditional sofa. The seat lifts up effortlessly and is capable of providing space for up to two adults. 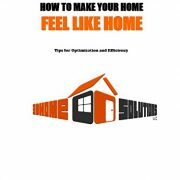 Inside, you can store your gardening tools, outdoor gaming equipment and other knick-knacks. 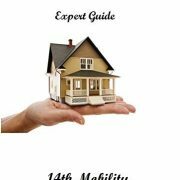 It is made with a durable double-wall construction to provide added protection for the items inside and improved stability for the users who sit on it. 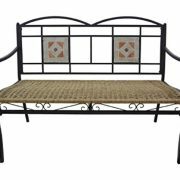 Spend evenings with your loved one comfortably seated on this outdoor storage bench. 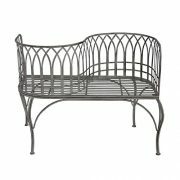 Outdoor bench for patio or deck. 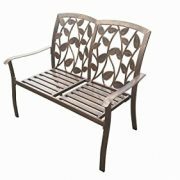 Seat lifts up for storage, revealing ample space inside for your garden tools, outdoor gaming equipment and other knick-knacks. Can comfortably two adults. 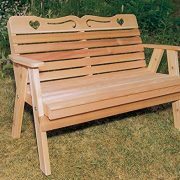 Complement the outdoor storage bench with a cushion or two to add to its appeal and make it function like a real patio bench. Durable double-wall construction to provide added protection for the items inside and improved stability for the users. 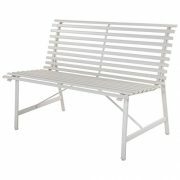 Combining extra seating with extra storage space, the storage bench is an ideal addition to outdoor patio furniture sets. 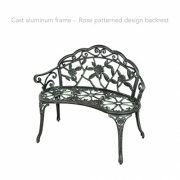 Constructed from durable, all weather resin for strength and stability, the extra large seat easily seats two with room to get comfortable. 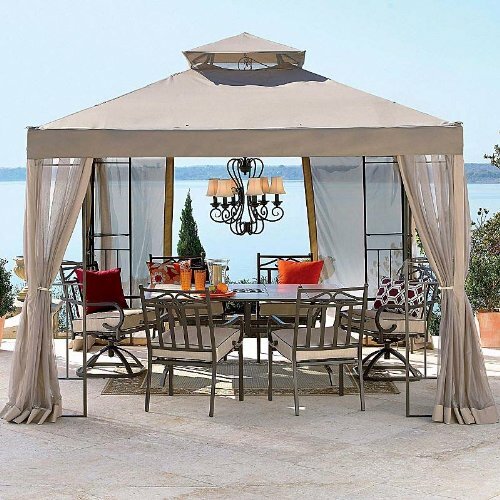 With an ergonomically designed back and contoured curves for added lumbar support and an air cushion back that conforms to your body, this isn’t your standard patio furniture. 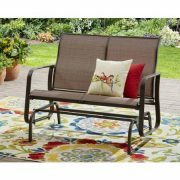 Unique, convenient storage beneath the seat adds another unexpected twist, making the storage bench a great option for keeping your patio organized with space for cushions, covers, and other patio accessories. 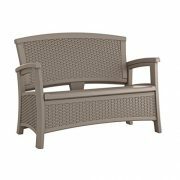 And with a stylish, contemporary wicker design it’s perfect for any patio. 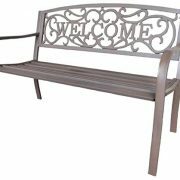 Durable and lightweight design makes in easy to rearrange. Comfortable 2-person seat with convenient storage. Easy to maintain. All weather resin construction. 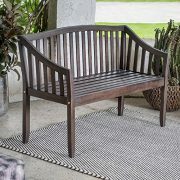 Outdoor bench with a geometric seat back design. 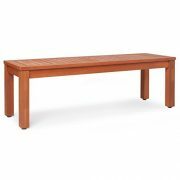 Crafted from durable, all-weather hardwoods. 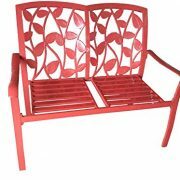 Hand-applied urethane finish – no two are exactly alike.